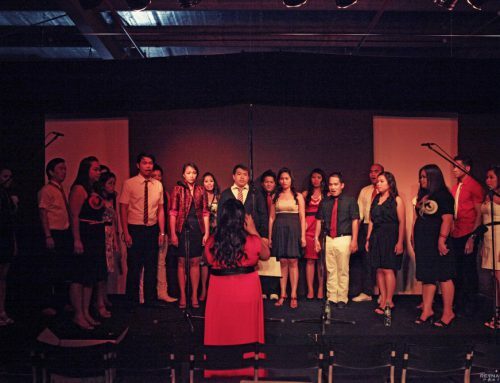 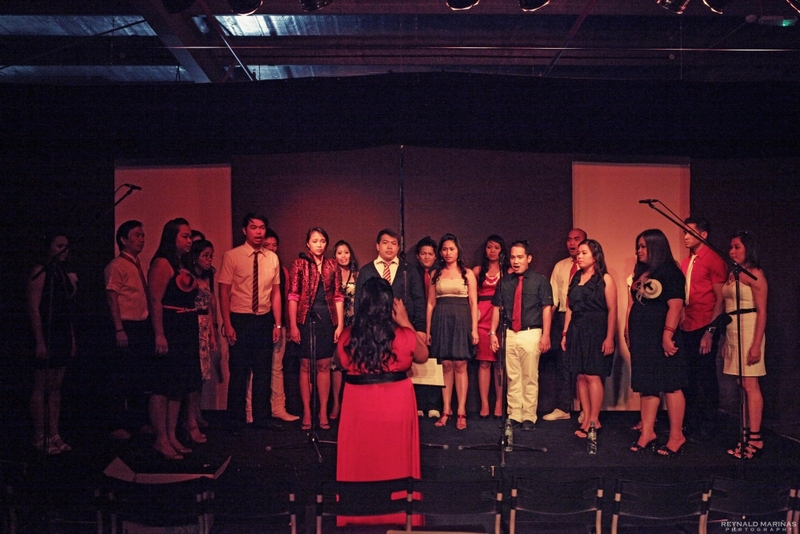 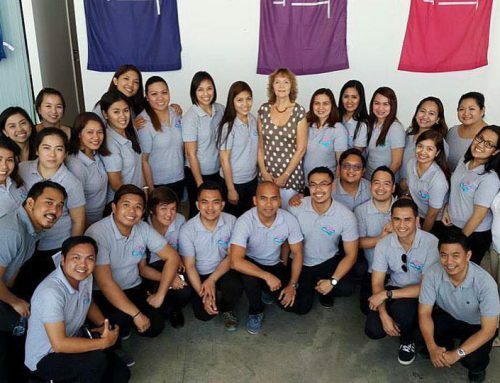 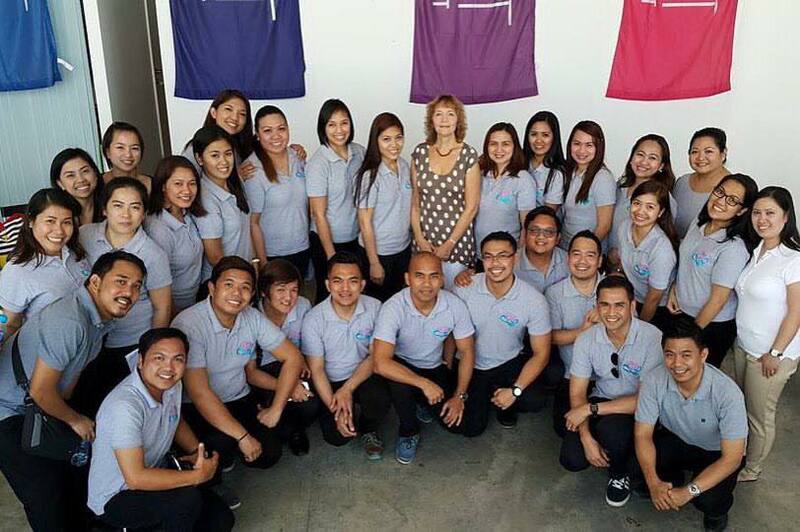 On 24 November 2011, the Christian Voices Chorale celebrated the feast of St. Cecilia, the Patron Saint of Music with the concert “As Long As I Have Music”. 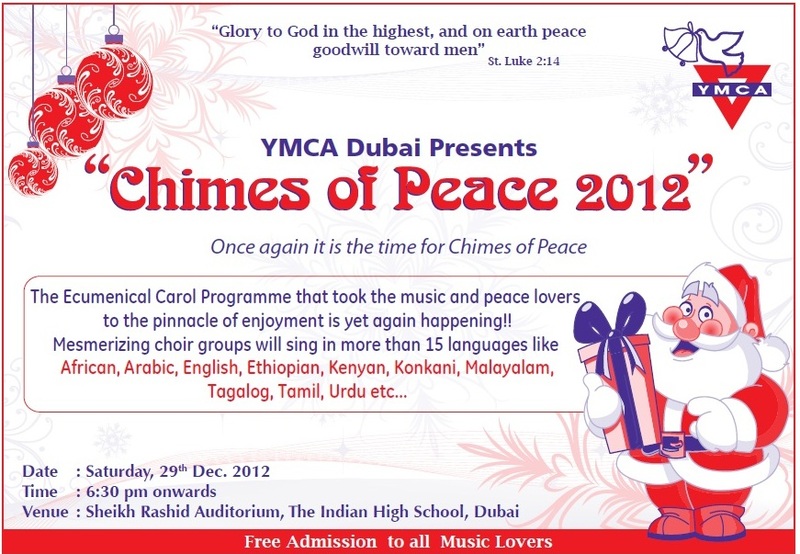 Held at the Main Hall of St.Mary’s Church Dubai, the Concert was well attended by the Parishioners & Music lovers alike. 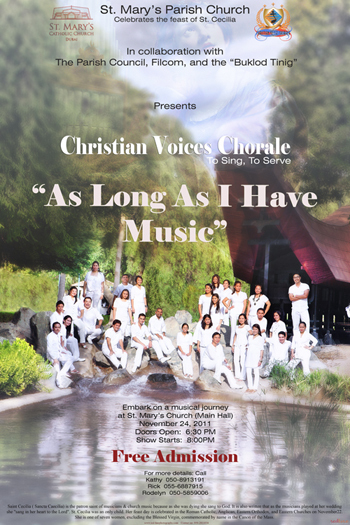 Christian Voices Chorale, rendered some well composed Hymns & songs accompanied by Captivating music score. 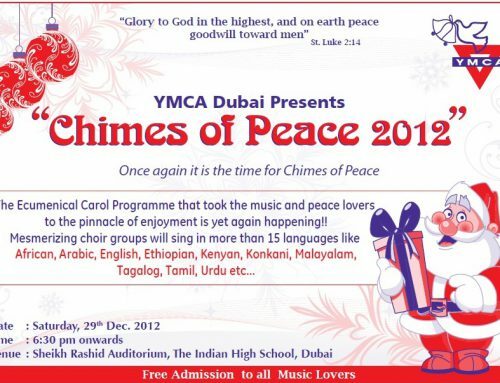 The Christian Voices Chorale & the El Shaddai Choir sang during this Concert.